Okay, honestly, more than just eyebrows were raised. But since it was off the record and Jossip had only one source, GE officials are disputing this account. 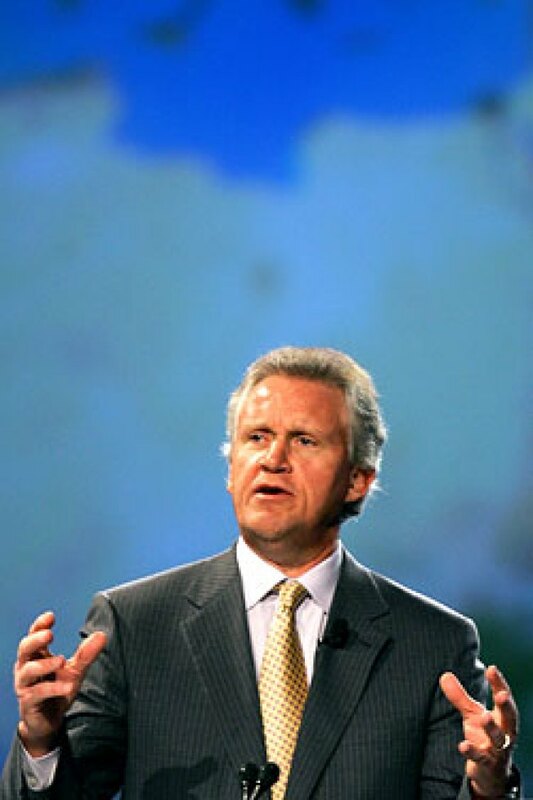 Jeff Immelt named the first African-American vice chair in GE's history. Under his leadership the company has been named the "World's Best Company for Diversity" (2006)and "Great Place to Work" (2007) by Black Enterprise magazine. This website lays out the progress GE has made in its commitment to diversity under Immelt's tenure. (http://www.ge.com/citizenship/) And you've twisted his positive speech about inclusiveness into an unrecognizable and unbelievable post. Shame on you. As two members of the audience at the Black Corporate Directors conference, the Jossip post is a gross mischaracterization of what Jeff Immelt said and is taken completely out of context. When asked about how he personally thinks about diversity and his personal journey to be more inclusive, Jeff used an example that he’s used many times to describe how he’s worked to expand his relationships with diverse people. [Ed: They didn't say what this example was, and how it was not racist] Jeff added that while previous generations seldom made efforts to break their “circle of comfort,” in their personal and professional relationships, today no GE leader gets a bye on this. At no point in this discussion did Jeff say that he does not trust African Americans! We're still unclear on what was actually said, and Gawker has already urged Soledad O'Brien to give her version of events. We'd be satisfied with a GE explanation — one that appears somewhere more reputable than the comments section of a gossip blog.